DID you know that beeping your car horn for any reason other than alerting other road users is illegal - and that even a goodbye honk can lead to hefty fines? 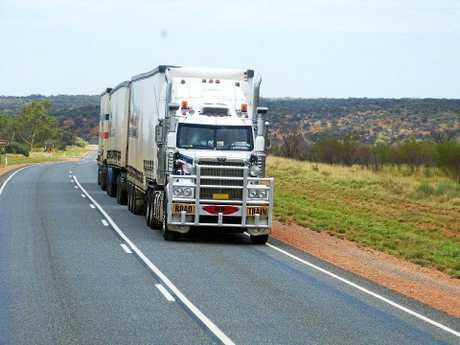 Teletrac Navman compiled the below list of the Australian road laws that drivers might be breaking without even realising. The list covers a range of laws that drivers might be unaware of, including sleeping in a stationary vehicle while drunk and flashing your lights to warn drivers of upcoming speed cameras. Everyone knows the risks of driving over the speed limit - but did you know that driving under it is also illegal, and can lead to a fine of up to $253 and a loss of 4 demerit points? While there's currently no federal law against sleeping in your car, it may mean you have to prove you had no intentions to drive. In some states, napping in the driver's seat of a vehicle can be considered reason enough to prosecute, even if the keys aren't in the ignition. Play it safe and catch a cab home or risk a hefty fine of up to $1400 and a 10-month suspension. Blasting loud music from your vehicle with the window down can burn a hole in your pocket. 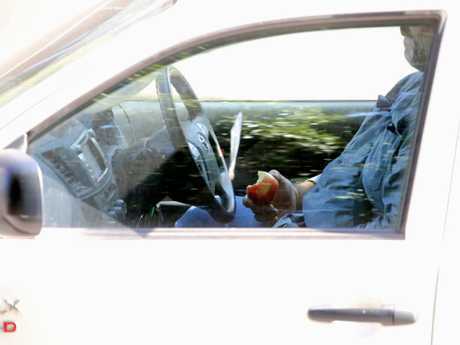 While you might be enjoying your car karaoke, a police officer might not take kindly to the noise pollution. If you ignore a verbal warning or instructions to turn the party down, you can get slapped with a fine of up to $200. Car horns are designed for alerting other road users and animals to your presence. Using it for any other reason, including a goodbye honk, can lead to hefty fines. While this may seem like a helpful way of protecting your fellow drivers, it can lead to a fine of up to $110 and attract 1 demerit point in New South Wales as flashing your lights can be misconstrued as an attempt to dazzle another road user. While warning others isn't strictly prohibited, dipping your lights is restricted. The basic rule of motorway driving is to stick to the left unless you're overtaking. Providing you're travelling at a safe speed, you're free to change lanes at any time, but hogging the middle lane when it's clear on the left can carry fines of up to $108 and two demerit points. While some drivers believe that driving 10 per cent over the speeding limit is acceptable - this is not the case. Exceeding speed limits by even a few kilometres carries fines of up to $201 and one demerit point. These laws depend on the discretion of police, but speed cameras won't be as forgiving. While many drivers are aware of the dangers of driving too fast, some don't see the harm in driving too slowly. 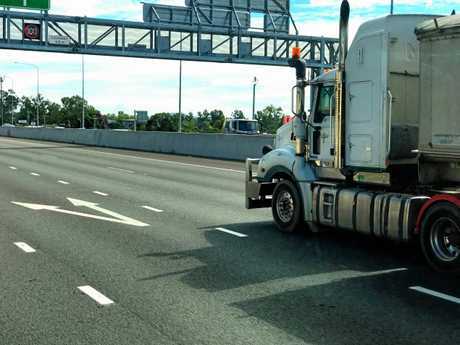 Under Australian road rules, it's illegal to obstruct the path of another vehicle - this can include driving unreasonably slowly and carries a fine of up to $289, or $253 and 4 demerit points in NSW. Many drivers use mobile apps like Google Maps to get them where they're going. If you get caught handling your mobile, even for GPS use, you can score a fine and a penalty of 5 demerit points. To prevent this, ensure your phone is fixed to your vehicle with a cradle that doesn't obscure your view of the road. If your hands are busy unwrapping lunch or ensuring your eyeliner is perfect, then your concentration won't be on the road. You may be looking away for only a few seconds, but anything can happen in that time. Keep your eyes on the road or you'll receive a fine of up to $600 plus three demerit points depending on your local state law. Even if your passenger insists, the driver is always responsible for ensuring everyone in the vehicle is safely secured for the journey. Using a baby seat is a requirement for children under the age of four, with non-compliance leading to a fine of up to $500 and a loss of 3 demerit points. It can be difficult to see in the dark, particularly on rural country roads and motorways with little illumination. Driving at night or in darkness without lights can risk a fine of up to $211 and 1 demerit points. Mud and grime is inevitable in your daily journey, but if this builds up to the point where your number plates are obscured or unreadable, you can cop a $415 fine and 3 demerit points. t's essential that your plates are readable at all times. Where you can, it's recommended that you avoid big puddles that may splash mud on pedestrians - specifically those waiting for the bus. It's no fun getting splashed on the way to work, and a $177 fine and 3 demerit points is no joke either. On narrow streets, it can be tempting to park "politely" and tuck your car away on a kerb but mounting the gutter can carry serious penalties in some states. While council officers may use their discretion when ticketing drivers, parking on the footpath or verge carries a fine of up to $126. Even if you're just ducking into the shops for a quick minute, there's no excuse to invent your own parking spot. A kerbside yellow line means there are parking restrictions in place and ignoring them can lead to a fine and a loss of two demerit points.